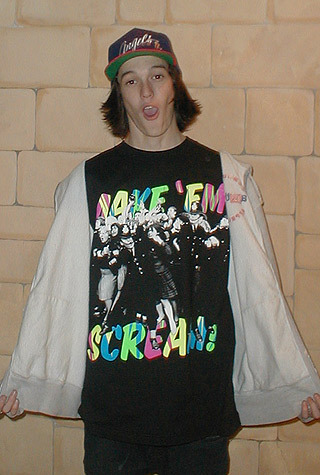 Remember yesterday when I was talking about that vintage large, black, “Make ‘Em Scream” tee that got snatched up? Apparently, Ted here is the golden child. Not only does Ted from Temecula, California have the nerve to buy the last of one of my favorite tees, but then he has to email me about it the next morning and rub it in my face. So if anyone sees Ted in Temecula, California today, do me a favor and give him a swift kick in the nuts for me. Make him scream.